How long have you been bringing your pet(s) to Animal M.D.? Please tell us how you first heard about our clinic? If you have called and left messages for a doctor or technician, was your call returned in a timely manner? How would you rate the client service skills and knowledge of our receptionist staff? How would you rate the client service, knowledge and skills of our veterinary technicians? Do you prefer your pets to be seen by a specific doctor? Do you feel that the veterinarian performs a thorough exam on your pet(s) at each visit? Do you feel that the veterinarian communicates clearly and takes the time to answer your questions thoroughly? When appropriate, are you provided with a treatment plan for services and is the treatment plan reviewed in detail? How would you describe our fees? 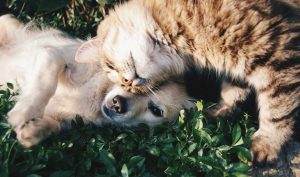 Have you referred other pet owners to our practice? Do you intend to continue bringing your pets to our clinic? Definitely Most likely I am considering switching to another veterinarian.